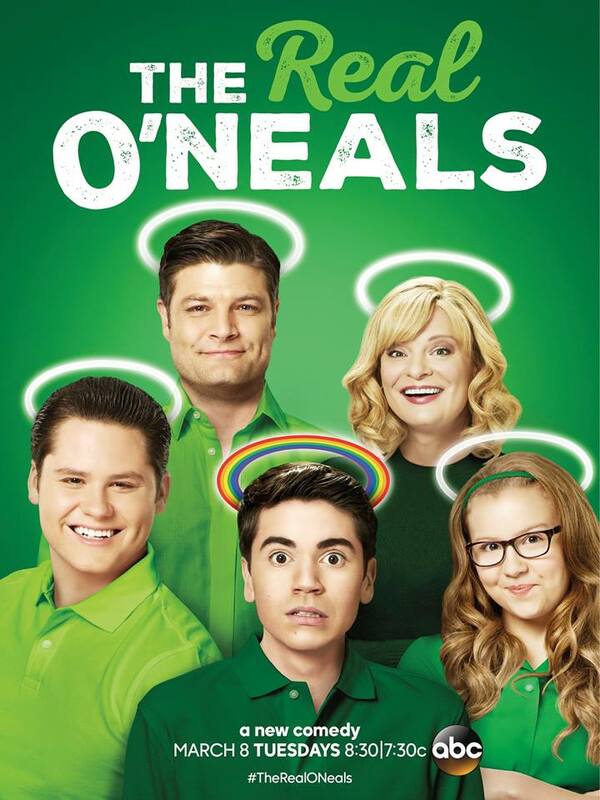 ABC’s new comedy The Real O’Neals is a fresh take on a seemingly perfect family, whose lives take an unexpected turn when their son announces he’s gay (purportedly based on LGBT activist and author Dan Savage’s early life, and Savage also acts as Executive Producer on the show). Instead of ruining their family, the honesty triggers a new, messier, chapter, where everyone stops pretending to be perfect, and actually starts being real. The sitcom stars Martha Plimpton as Eileen, Jay R. Ferguson as Pat, Noah Galvin as Kenny, Mathew Shively as Jimmy, Bebe Wood as Shannon, and Mary Hollis Inboden as Jodi. Kenny is the smart, likable, and funny middle child of Eileen and Pat O’Neal, who’s always felt like a bit of a black sheep compared to his perfect siblings. Though he didn’t intend it, his initial decision to come out of the closet as gay is what spurs the chain reaction of secrets from the rest of his family to spill out as well. What’s never been a secret is that Kenny is his mother’s favorite. However, his announcement about his sexuality threatens their special relationship when it opposes her firmly held traditional beliefs. As the first out gay kid at his school, the students and faculty turn Kenny into a reluctant spokesperson for the entire LGBTQ community. All this extra attention would be a lot for anyone to deal with, not to mention a 16-year-old Catholic high school student. Luckily, Kenny has a vivid imagination, and he often taps into his subconscious to get advice and guidance from various wise figures – including Jesus and Jimmy Kimmel. At the end of the day, all Kenny really wants is to be accepted by his community and his family as the person he truly is. 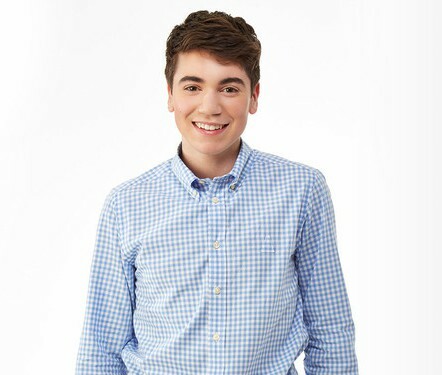 The Real O’Neals premieres in the US, March 8 on ABC. Dan Savage is co-founder of the IT GETS BETTER project, with husband Terry Miller.